Moving & Storage in Fredericksburg is simple with MI-BOX. We deliver each mobile storage container right to your home. Keep the unit on-site or we'll pick it up and store it for you at our secure storage location in Fredericksburg. Convenient Moving & Storage in Fredericksburg. 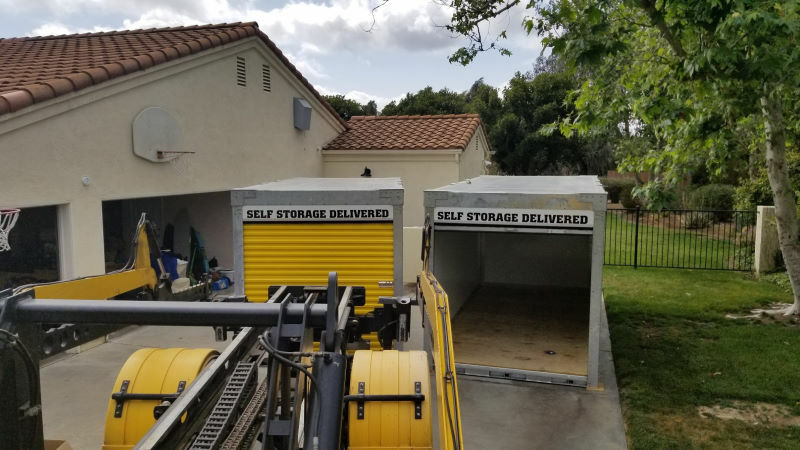 MI-BOX Mobile Storage brings mobile self-storage containers right to you. It's the ultimate storage solution. Say goodbye to rental trucks, fuel charges and time constraints. No more calling friends to help. Gone are the days of making back and forth trips to a public storage unit. With MI-BOX, you can take your time. 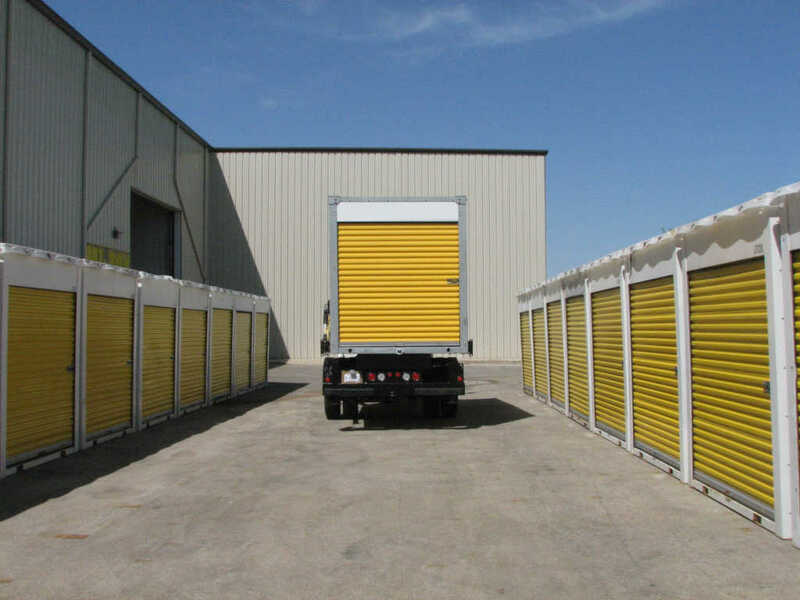 Your storage units will be right outside your door, or safe in our secure storage facility. Stop stressing over storage, relax with MI-BOX. Save Time & Money on Self-Storage. 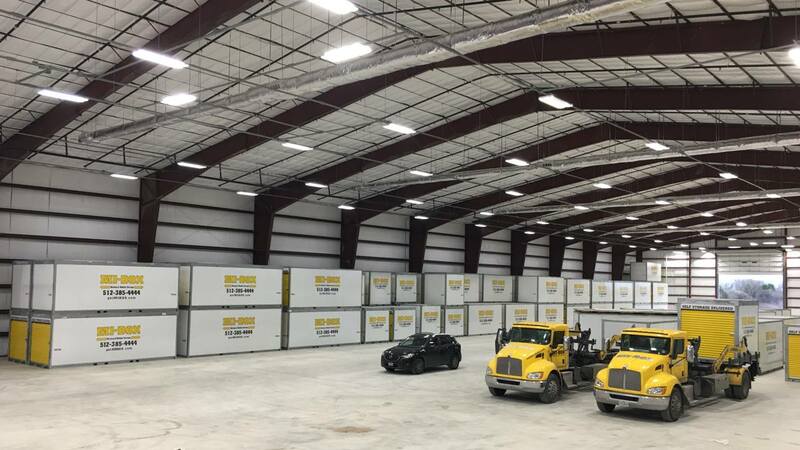 Other storage locations in Fredericksburg require you to rent a moving truck, drive back and forth to the facility, unloading and reloading your items until your mini storage unit is full. Then, when you need access to your stored belongings, you have repeat the process all over again. Not with MI-BOX. We deliver and pick up each storage unit. Load it when you have time. MI-BOX storage containers rent by the month so you can fill it at a pace that's best for you. Loading and unloading only once will save you time and money. The Highest Level of Service. 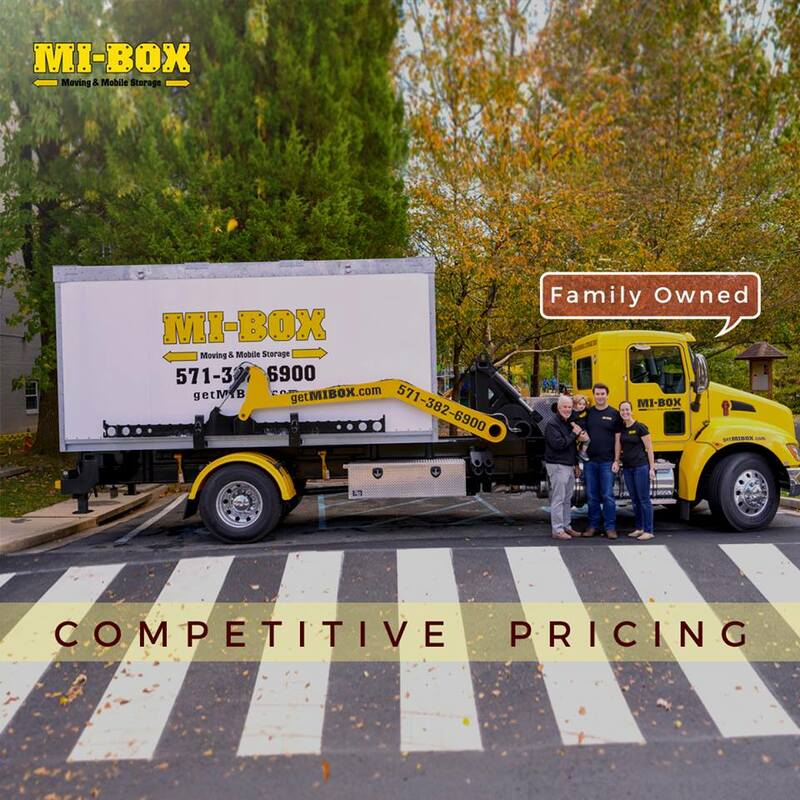 MI-BOX Moving & Mobile Storage in Fredericksburg is locally owned and operated, so you'll always get the best prices and highest level of service on your moving and storage needs. Nobody will try harder to give you the best storage experience possible. Our business depends on it. Get MI-BOX in Fredericksburg. Moving is a huge job, but MI-BOX in Fredericksburg is unlike any other. Locally owned and operated, we provide convenient moving solutions, personalized service, and upfront pricing. MI-BOX delivers secure moving containers right to your home or business. Move in a week, all in one day, or whatever is convenient for you. Pack your storage container yourself, or contact us and we'll recommend a professional loading service to help you out. When you're done, we'll move it to your new home anywhere in the Fredericksburg area or keep it safe for you in our secure warehouse. MI-BOX Moving in Fredericksburg is the easiest way to move. MI-BOX Moving is ready to simplify the moving process and bring portable storage containers right to you. At MI-BOX, we specialize in residential and commercial moving. 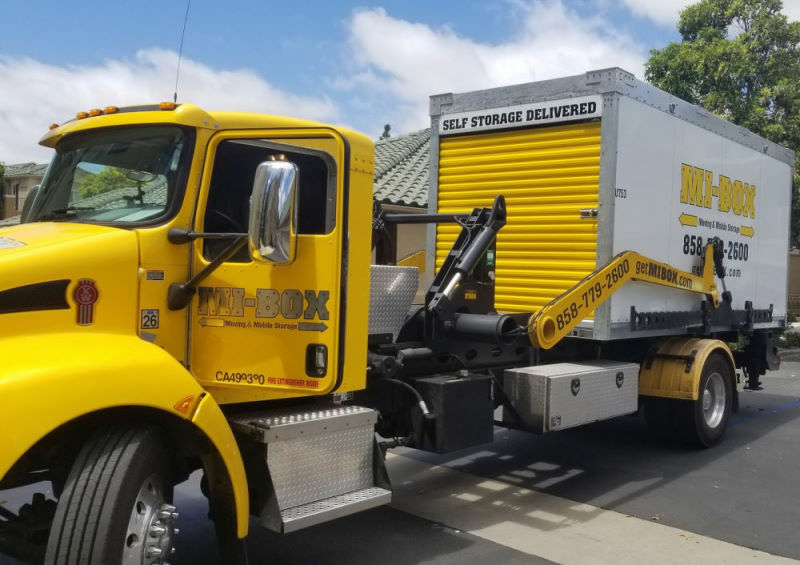 Whether you're downsizing, a growing family in need of a bigger home, relocating your business or anything in between, MI-BOX can reduce your stress, save you money and provide the options you need. MI-BOX Moving in Fredericksburg has helped thousands of people move, see our moving tips for helpful suggestions. MI-BOX portable storage containers in Fredericksburg are designed for convenience and protection. We'll deliver a portable storage container right to your home. Keep it for as long as you need it. When you're done, we'll pick your mobile container up and store it for you. Our containers sit at ground level for easy loading and can be placed anywhere our truck can fit. MI-BOX brand portable storage units are built to last a lifetime. Only quality products are used in the manufacturing process to ensure your belongings will be kept safe. MI-BOX has been designing and building reliable portable storage containers since 2004. Use the most trusted portable storage brand in the industry and ensure your valuables are secure. MI-BOX portable storage in Fredericksburg, Virginia is the best option for moving, storage and more. Our mobile storage containers sit at ground level for easy loading. They come with large roll up doors that can be securely locked. Each storage unit is designed to protect your belongings from adverse weather, keeping them safe and secure. MI-BOX Self-Storage in Fredericksburg is locally owned and operated by individuals who care. Nobody will try harder to give you the best self-storage experience possible. Our business depends on providing exceptional service at great prices. Experience the difference personalized service makes with MI-BOX - it's self-storage delivered. MI-BOX works with commercial businesses every day to solve their storage needs. Time is money, and MI-BOX understands the importance of delivering fast, reliable service. We go the extra mile to deliver business storage in Fredericksburg. You can count on MI-BOX for the best storage solutions for business storage needs. MI-BOX Mobile Storage & Moving in Fredericksburg delivers portable storage containers using our patented Level Lift System. Keeping your contents and your storage container level throughout the loading and unloading process prevents your valuables from shifting, which decreases the risk of potential damage. Unpaved, uneven, inclined or declined surfaces - we can deliver our containers anywhere. Snow and rain are not problems for the MI-BOX Level Lift System. We gently set each portable storage container wherever you'd like it and pick it up without ever leaving a trace. The Level Lift System is the most efficient container delivery system available. With MI-BOX, you’re guaranteed to get the best possible service and prices for all your moving and storage needs. But don’t take our word for it - go to the sites of PODS®, U-Haul®, and our other mobile storage competitors in Fredericksburg and compare them with MI-BOX​ for yourself. 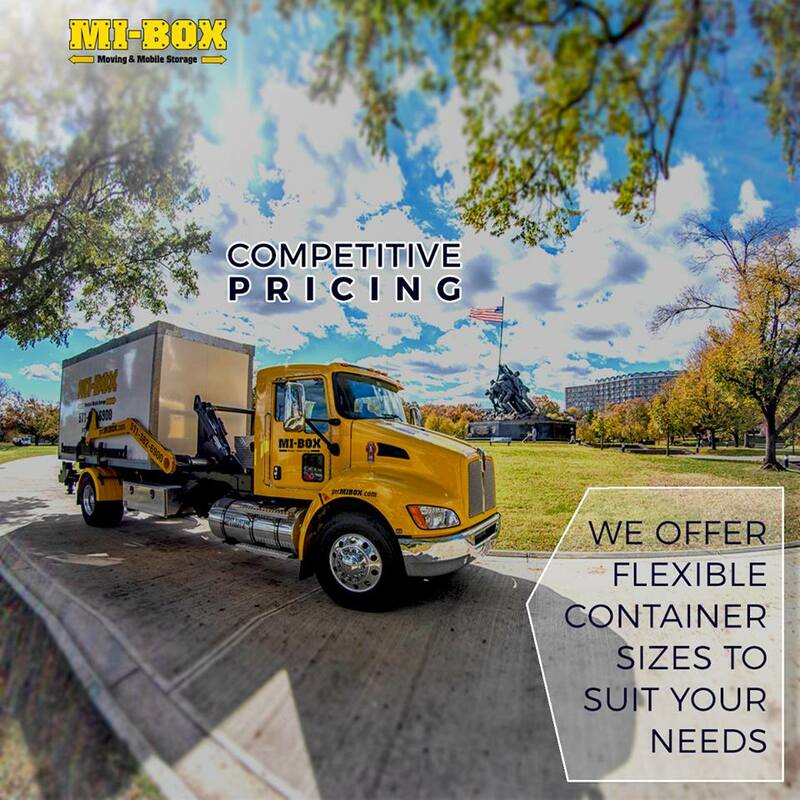 Consider our secure containers, patented delivery system, guaranteed prices, and the flexibility MI-BOX provides. Think about it. No loading ramps, no trucks to rent, no time restraints. We know you have options, so we strive to make MI-BOX® the best choice, regardless of your mobile storage need. In the end, if you have any questions you can call and talk to us directly here in Fredericksburg, not a centralized call center. 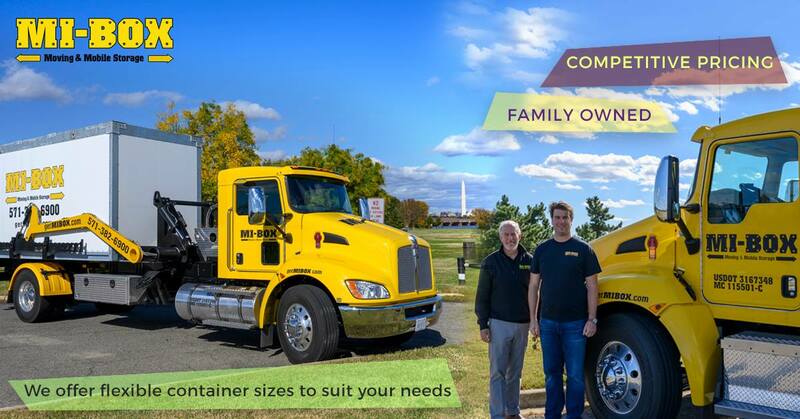 MI-BOX Mobile Storage & Moving in Fredericksburg, Virginia is locally owned and operated. From your first call or online quote, you'll experience the difference. You'll get convenient moving and storage solutions in Fredericksburg at the best prices, along with more choices and better service. MI-BOX® offers 8', 16' and 20' moving and storage containers. PODS® does not offer 20' units or employ our Level Lift System. Compare MI-BOX® to PODS® today. MI-BOX Moving & Mobile Storage containers are great for so many things! It's more than just moving. 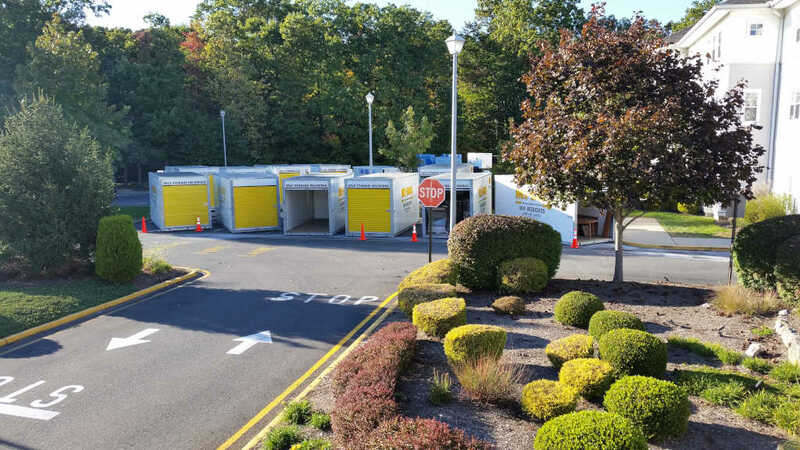 Our customers in Northern Virginia can rely on MI-BOX for all of your mobile storage needs. 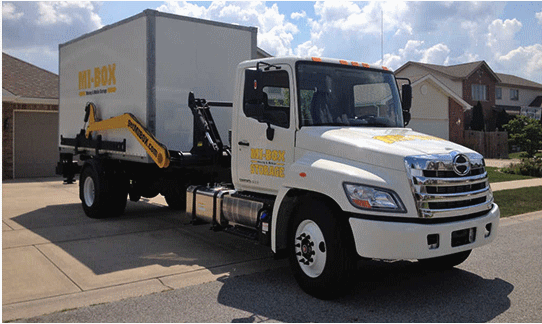 Short-term or long-term, personal or professional, MI-BOX Mobile Storage & Moving in Fredericksburg is here for you. Perhaps you're working on the restoration or remodeling of your home, a business in need of extra space for inventory, or facing a daunting organization project. We can help! Look to MI-BOX in Fredericksburg for flexible moving and storage solutions. MI-BOX Mobile Moving & Storage locations are locally owned and operated. We don't use call centers - you'll always talk directly to a local storage professional in your area. Understanding our customers needs, providing cost effective solutions, and delivering exceptional service is what sets us apart. Experience the MI-BOX difference by calling MI-BOX Mobile Moving & Storage in Fredericksburg today. 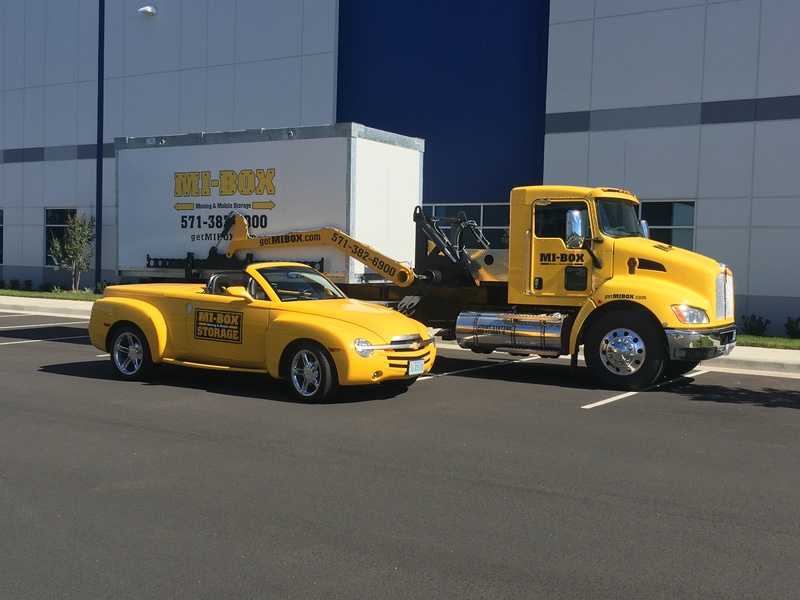 MI-BOX Moving & Mobile Storage in Fredericksburg uses our patented Level Lift System that gently places each storage unit in more places with greater ease than any other mobile storage company. Your storage container and contents are kept level at all times, protecting them from damage. MI-BOX uses the longest lasting, most durable storage containers available, ensuring your valuables are protected.